The Government of India has launched several schemes for rural electrification by enhancing the penetration of renewable energy resources. This paper aims toward a DC nanogrid for rural electrification in India. The DC nanogrid consists of a self-excited squirrel cage induction generator, PV panel, a battery storage for smooth and reliable operation, and compatible converters for voltage regulation and required conversion. The proposed DC nanogrid has been modeled and simulated in MATLAB/Simulink. The proposed system maintains a constant 120 V DC at load terminal. The performance of WECS has been analyzed in the environment of MATLAB/Simulink, and the same has been validated using a prototype hardware developed in the laboratory. 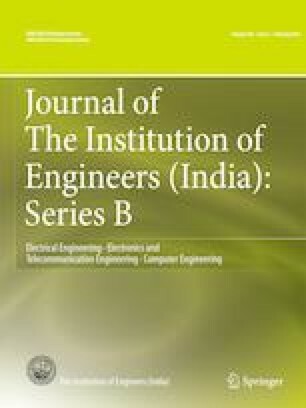 This work was supported and funded by Science and Engineering Research Board (SERB), Department of Science and Technology (DST), in the department of electrical engineering, Malaviya national institute of technology, Jaipur, under the project reference number YSS/2015/001473.